Anritsu has, via a firmware update, added 53Gbaud PAM4 to its BERTWave MP2110A sampling oscilloscope. BERTWave MP2110A is an all-in-one measuring instrument with a built-in multi-channel bit error rate tester (BERT) and sampling oscilloscope, supporting, alongside bit error rate (BER) measurements, eye mask tests, eye pattern analyses, 250ksample/s and low-noise (3.4 μW). MP2110A measures NRZ as well as PAM4, including TDECQ, allowing optical modules to be evaluated across 25 to 400Gbit/s. 53Gbaud analysis function comes with PAM4 signal analysis software option MP2110A-095. For more information, visit Anritsu’s website. 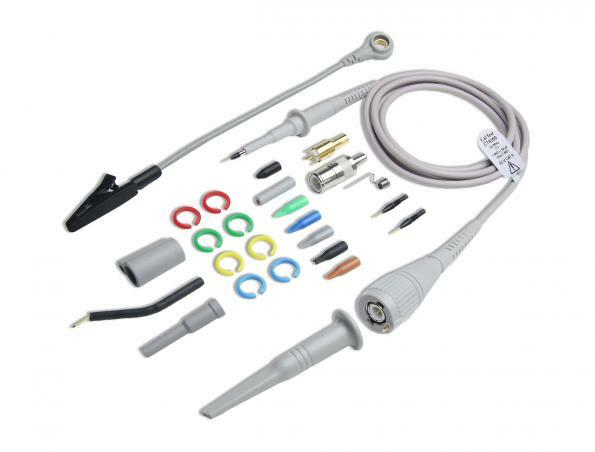 Cal Test Electronics launched its CT4200 series of passive voltage oscilloscope probes featuring compact 2.5mm barrel size and bandwidths from 55MHz to 1.5GHz. The eight-model series includes 1x, 10x, 20x and 100x attenuation ratios. Six models interface with oscilloscopes having 1 MΩ input impedances, while two models require 50 Ω input impedances. These models will work with most modern oscilloscopes. The CT4200 series also carries CE listing, including RoHS 2 compliance. For more information, visit Cal Test’s website. PROMAX released its PROWATCH monitoring systems, which are designed to deploy, expand or replace existing monitoring infrastructure. They are built around the RANGER Neo TV signal analyzers, making them suitable for RF signals monitoring, analysis and logging (FM radio, terrestrial TV, satellite TV and CATV). PROWATCH monitoring systems include technologies such as DVB-T2, H265, 4K UHD, IP TV, etc. They allow setting alarms and pre-alarms based on signal quality parameters, as well as performing the complete remote control of the equipment as if they were physically being held in the hands. For more information, visit PROMAX’s website. Rohde & Schwarz (R&S) unveiled the TSME6 drive test scanner with 5G NR scanning software. It allows users in the 5G network ecosystem, as well as regulators, to measure the 5G NR network coverage accurately—one of the biggest challenges in network planning. With this system, users can also verify the correct operation of beam forming and interworking between 5G and other technologies. 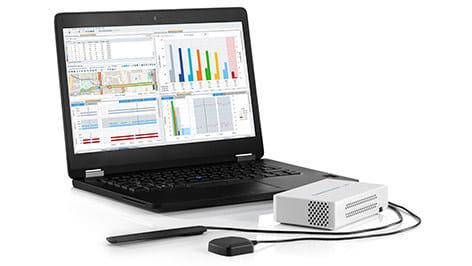 The ROMES4 software suite is designed to connect with 5G NR devices such as evaluation boards, USB dongles and pre-commercial smartphones as they become available. This lets adopters of 5G NR to gain early insights into a device’s performance and interaction with real 5G NR networks. For more information, visit R&S’ website. 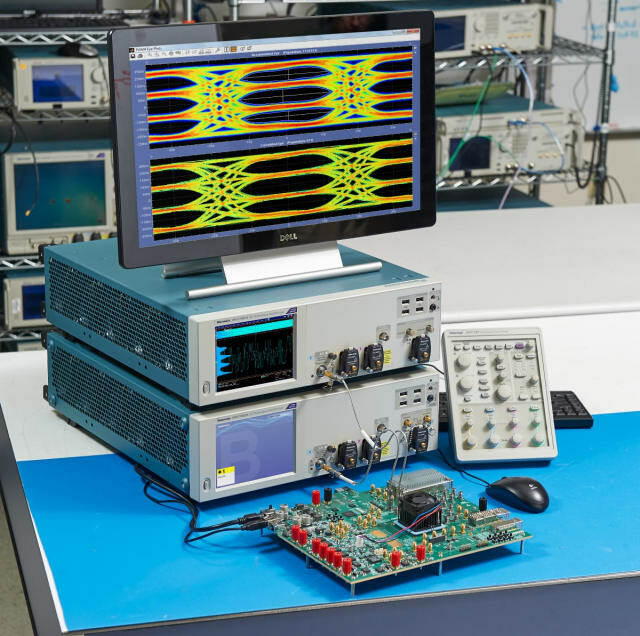 Tektronix has introduced several optical testing devices, such as the DPO70000SX 70GHz ATI performance oscilloscope, which analyzes single shot PAM-4 signals with live triggering and post-equalized error detection for 400G standards. 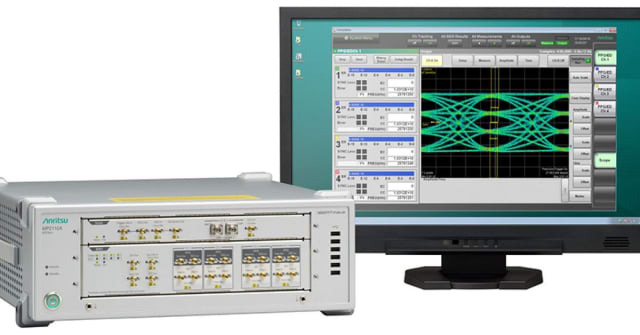 Furthermore, the company provided details on the DSA8300 sampling oscilloscope with an 80GHz optical sampling module, showing support for IEEE 802.3bs based 400G optical testing for TDECQ. The device includes advances in high-sensitivity single-mode/multi-mode optical measurements for NRZ and PAM-4. For more information, visit Tektronix’s website.